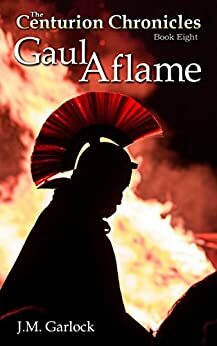 Caesar faces his greatest challenge as the charasmatic Gallic leader Vercingetorix vows to rid Gaul of the outnumbered Roman invaders. Caesar sends the Centurion on a mission to capture pigeons. The Caesar & his legions (the 10th, 8th, 11th, 3rd 2nd 1st & 13th) totaling approximately 30,000 men advance on Avaricum (Bourges) a major oppida that Vercingetorix who commands nearly 100,000 warriors has not burned & vows to defend. The Centurion & his century are used as bait to see if Vercingetorix has reinforced Avaricum & are attacked by Gallic cavalry while on patrol. Caesar’s army is forced to reduce their rations while it lays siege to Avaricum. The siege is successful. 40,000 inhabitants are killed. Vercingetorix receives reinforcements from the Nitiobriges. Caesar gives Titus Labienus command of the 2nd, 4th, 7th & 8th Legions & takes the 10th, 13th, 3rd, 2nd, 18th & 9th Legions for himself. The Centurion & Tribune Volusenus discover a way through the marsh & learn the Gauls are fortifying their camp. After settling a dispute with the Aedui in Decetia he divides his army into 2 parts. One part decoys Vercingetorix into following it while the other builds a bridge across the Allier River. Then the 1st part joins the 2nd & the army is reunited allowing Caesar to march on Gergovia where he subdues Gauls garrisoned below the town. An Aeduian noble, Litaviccus is given command of the 10,000 men to reinforce Caesar & agrees to send them to Vercingetorix instead. He changes his mind & joins the Arverni who join the Gallic revolt. When Caesar tries to intercept the rebels the larger Roman camp is attacked. Caesar returns, saves the camp & devises a plan to attack Gergovia. The attack fails. Fearing a general uprising Caesar retreats back across the Allier River & heads for Noviodunum his administrative base. When he arrives he discovers it has been sacked by rampaging Gauls. The Centurion is sent on a mission to find General Trebonius who is in northern Gaul & bring him back so Caesar can reunite his army. Caesar makes a strategic withdrawal across the Loire River. The Centurion Chronicles Book Nine "Bloodbath"
The Centurion Chronicles Book Ten "Caesar's Stranglehold"
The Centurion Chronicles Book Five "The Brits"
Very bad editing, but an OK read. Really enjoying this series! The genre isn't my favorite, but I've really enjoyed the series and can't stop readin'! A very good read will read next book when it is issued. When is the next book going to be aware we available?